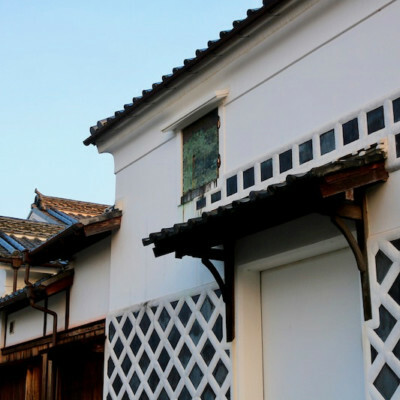 It is a sunny day in late spring in Hagi, an old, well preserved historical city in Yamaguchi prefecture. 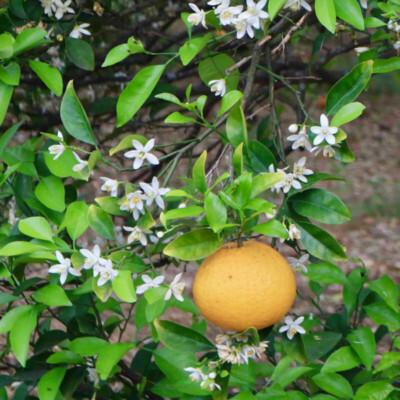 There is a gentle breeze and I can smell the flowers of citrus trees, ‘natsumikan’, that hide behind the old walls everywhere in town. 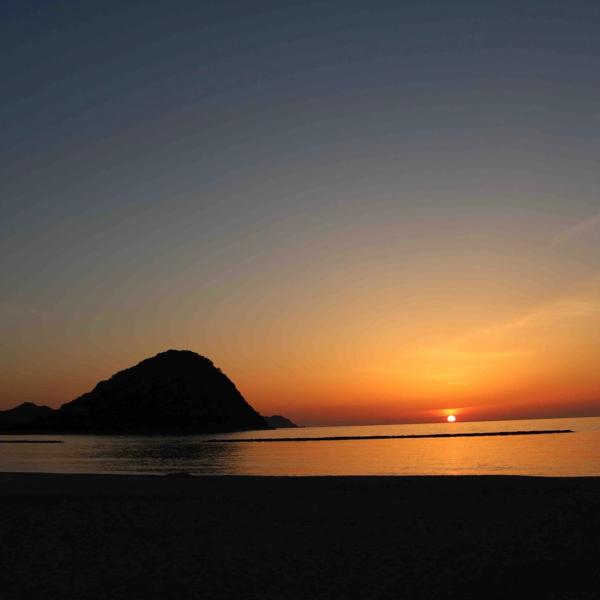 Hagi has a warm atmosphere that feels like a laid‐back island town, with a gently sloping beach and calm waves. Daily, one witnesses the rich gifts gathered from the sea. 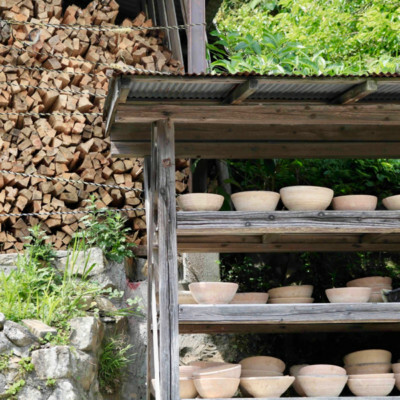 One of the reasons for my trip to Hagi was to visit local potters. 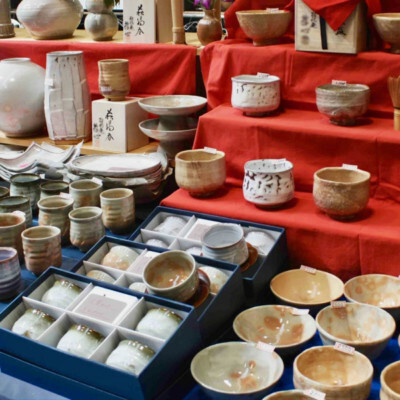 I wanted to learn about tea-ware and explore local materials, and observe how these materials have been used for many generations. 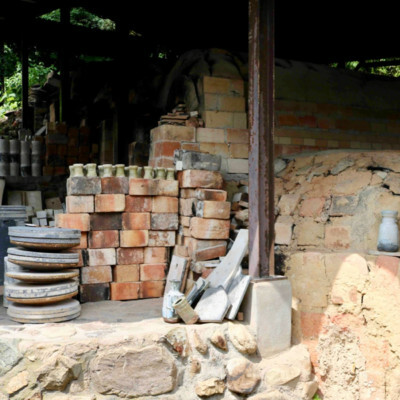 I thought the clay itself would be crucial in forming the character and essence of Hagi-ware, but while staying in the local community I came to a different conclusion. 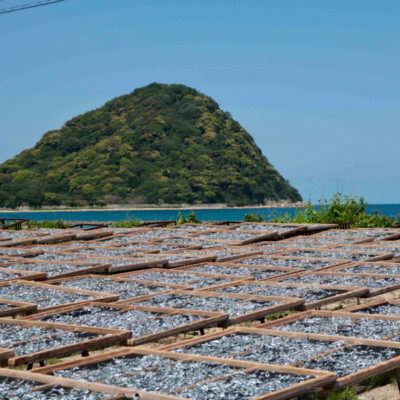 Hagi-yaki achieves its remarkable and unique character by an array of powerful components – place, climate, history, culture, family and way of life. 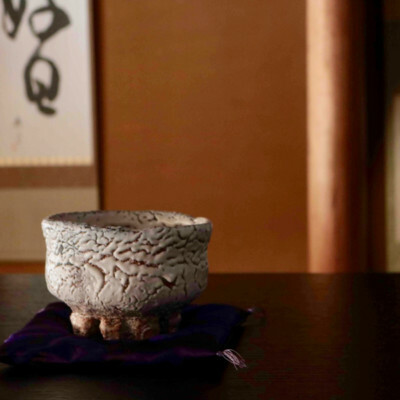 One of the essential clays for Hagi yaki is called ‘Daido earth’, discovered about 400 years ago in Yamaguchi prefecture. 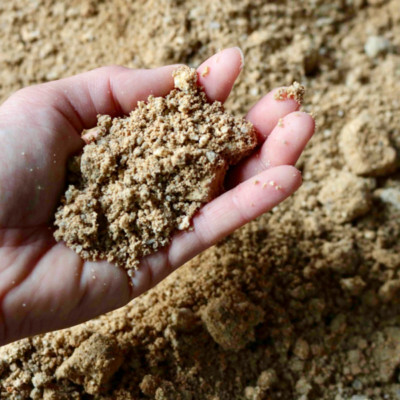 Once the rough sands are removed from this natural clay, it becomes a smooth touch, but remains rather ‘short’. 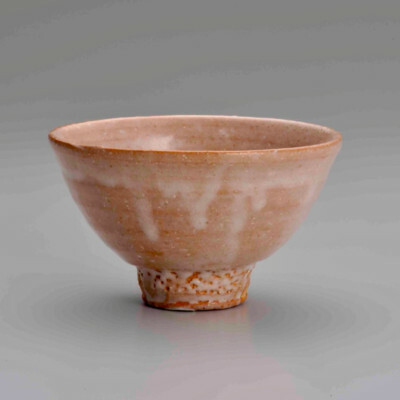 At the Hagi tea bowl gallery, I had a good conversation with the gallery owner in front of a massive tea bowl called ‘o-onihagi’ by Josetsu Miwa, who is a ‘national treasure of Japan’. Some of Japan’s national treasures are humans, who have great skills, and only a few people have this title. I was also extremely lucky to be able to spend time with Yu Okada – a ceramic master and individual holder of ‘Intangible Cultural Property’. 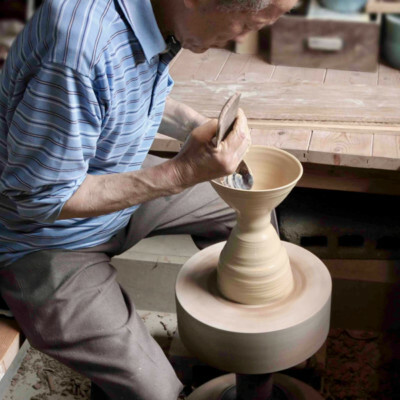 After some time in Hagi, he showed me how to throw on his wooden kicking wheel. 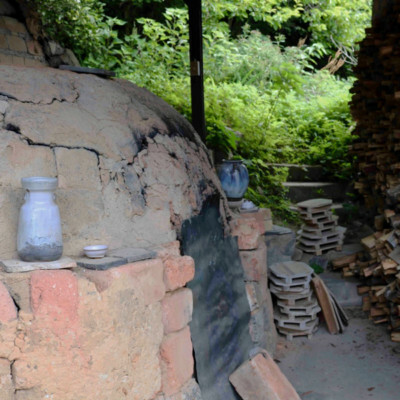 Okada’s ‘Noborigama’ (woodfiring kiln) has been inherited through eight generations. 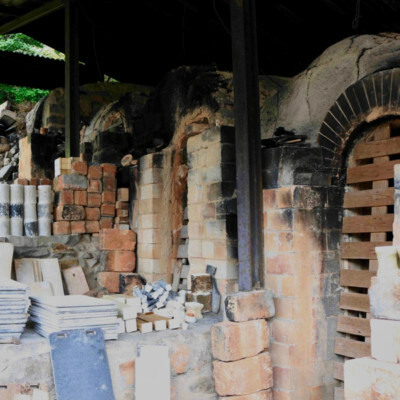 The kiln is different to most, with a slope that is quite steep. The slope helps the temperature go quicker, Yu said – it’s one of the mysteries of Okada’s kin. On my last day in Hagi I went down to the beach to watch the sunset. I spent time thinking of Hagi-yaki and the ‘seven disguises’ of Hagi-yaki. 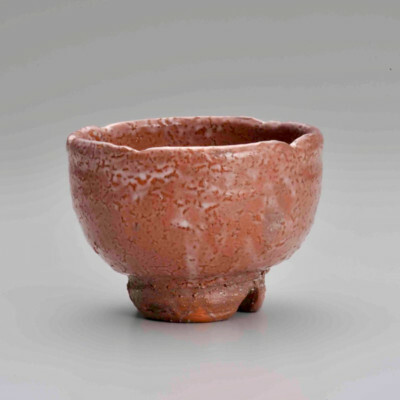 This characteristic of Hagi ware is due to tea staining the crazed glaze, thereby altering the colour of the vessel over time. 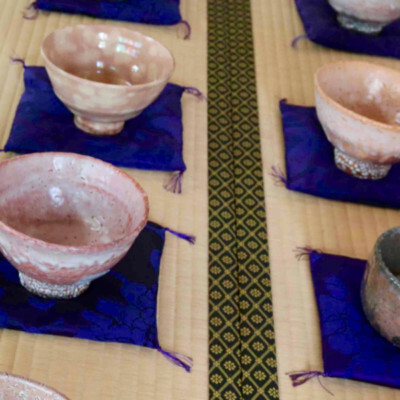 Hagi-yaki seems to embody the term ‘wabi-sabi’. As time passes, the colours of the ware change through use, deepening gradually, like the colour of the sunset changes to dusk. Yu Okada san and his son Yasushi san, Minoru and Kyouko Kogaya san, Hamasaki Shichorukai community, Miwa Seigado tea bowl gallery, Eugene Howard many more. 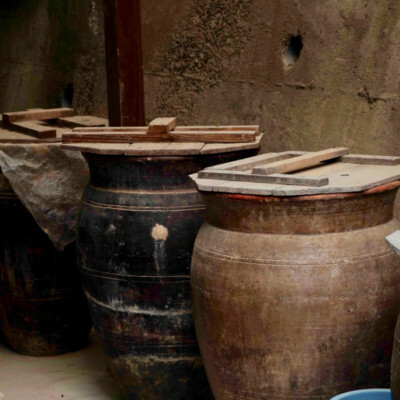 Without the Hagi’s community’s help, I wouldn’t be able to visit and photo-shoot such a high-level potter. 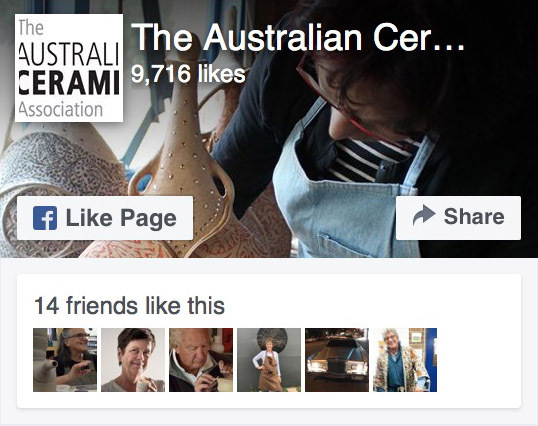 A Japan-born, Melbourne-based artist, Yoko Ozawa has been making ceramics since 2003 in Japan and Australia. She studied graphic design in college, and Japanese painting in university in Tokyo. Since settling down in Melbourne, her creative base since 2010, she has exhibited in Australia and Japan. 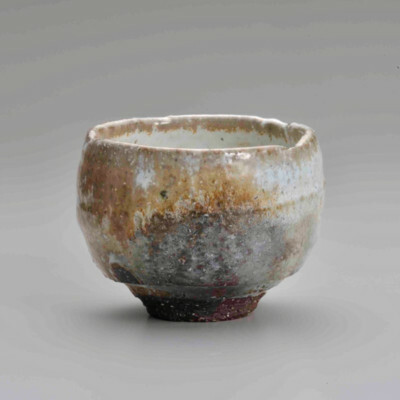 Ozawa works with subtle tones and simple forms. 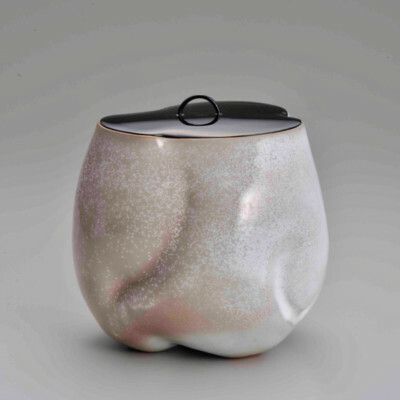 She explores the stillness and space between objects, something defined by ‘yohaku’ (blank space), a Japanese painting concept which she studied early in her career.